Prior to the establishment of Rajendra Agricultural University (RAU) post-graduate teaching programme was carried out at Bihar Agriculture College, Sabour and Ranchi Agriculture College, Kanke under Bhagalpur and Ranchi University, respectively. After establishment of RAU, post-graduate teaching programme was started in the year 1972 at Dholi campus of RAU which in turn was shifted to main campus at Pusa during 1980. In the beginning P.G. teaching was started with 08 students. Keeping in view the large requirements of the Agronomist for various sectors the in-take capacity was enhanced to 14 Students per year. Doctoral programme was started in the year 1980 with in-take capacity of 04 students per year. Since the start of the post-graduate teaching, Agronomy department has altogether awarded 349 M.Sc. and 65 Ph.D. degrees. The Department of Agronomy came into existence as one of the seven departments at the time of establishment of the Rajendra Agricultural University in the year 1972. It played a pivotal role in providing linkage to allied departments and constituent colleges of the University. The department has excellent infrastructure of well-equipped laboratories and research farm. These are well supported by technical and field staff for proper conduction of research as well as farm practical of undergraduate students, both by faculty and post graduate students. The department offers comprehensive and dynamic resident instructions for M.Sc. and Ph.D. programmes in five fields of specialization viz. crop nutrition, crop physiology, water management, cropping system and weed science. Each field of specialization is headed by a senior professor level teacher and supported by well equipped laboratories with highly qualified faculty. The department has provided much required manpower for various development agencies. Some of our faculty members have served in National and international organization including the Government of Nigeria, Indian Council of Agricultural Research etc. Major emphasis would be laid on natural resource management through generation of environment friendly technologies. Low input-cost technologies like zero tillage, bed planting use of leaf colours, etc. Shall receive increased emphasis for all crops. Research on management and recycling of crop residues and agricultural byproducts. Technology for cultivation of aromatic and medicinal plants and organic farming would be developed. Participatory research with involvement of farmers and end-users to develop commercially acceptable technologies. Application of Geographical Information System (GIS) and Global Positioning System (GPS) for precision farming and management of natural resources. Development of irrigation water saving technology for improving the water use efficiency and water productivity. The department has a research goal of enhancing productivity and profitability of various crops and cropping systems on ecologically sustainable basis through efficient management of resources. The crop management research focus has been on the refinement of various agronomic practices on regional basis such as optimum sowing schedule, tillage needs, crop geometry, nutrient needs, weed management and irrigation schedules to increase productivity of different crops in the state Several research projects sponsored by various national and international agencies are operative in the department. The department of Agronomy is actively engaged in conducting problem-oriented research on agronomy of different field crops in Bihar state and is responsible for perfecting production technologies of these crops, effective weed control and developing suitable cropping and farming systems. It has well established and equipped research farms and laboratories for conducting research on crop physiology, weed management, water management, cropping systems and rainfed agriculture. On the basis of research work done in department, improved technologies for field crops have been recommended for different zones of the State. The department takes the responsibility of generating production technologies for the important crops like rice, maize, wheat, rapeseed and mustard, pulses, potato etc. Promotion and dissemination of Boro rice technology in target areas. Influence of crop residues conservation, tillage system and management practices on Soil health and system funded by productivity. Popularization and dissemination of sustainable farming system model under changing climatic condition for upliftment of small and marginal farmers. Department of Agriculture, Govt. of Bihar for dissemination of various agro-technologies. Gandak Area Development Authority (GADA) for management of sodic soil in relation to water management. CIMMYT-BISA for technology development with respect to wheat and maize research. Projects are linked and collaborated with Bill & Melinda Gates Foundation and International Rice Research Institute, Manila, Philippines for popularization of stress tolerant rice variety, design and development of rainfed rice based cropping systems under stress conditions. Directorate of Weed Science Research, Jabalpur. Directorate of Rice Research, Hyderabad. Directorate of Maize Research, New Delhi. Directorate of Oilseed Research, Hyderabad. Indian Institute of Pulses Research, Kanpur. Technologies for management of weeds in different crops/ cropping systems have been developed and tested with emphasis to the conditions of North Bihar. 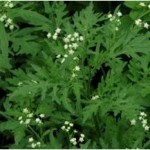 Chemical measures: Application of Glyphosate 1 % or Metribuzine 0.3 % solution before flowering stage are quite effective for controlling Parthenium weed in agricultural land. Biological measures: Mexican beetle (Zygrogramma bicolorata) should be released on the Parthenium weed during rainy season. Cultural measures: Uprooting of Parthenium before its flowering should be done to minimize its population which could be utilized in compost preparation. Plantation of marigold plant may be done to check the population of Parthenium weed nearby residential areas or Cassia tora in the area covered by Parthenium.